Paul James (PJ) appeared at Towerfest in 2018 as a show case artiste. 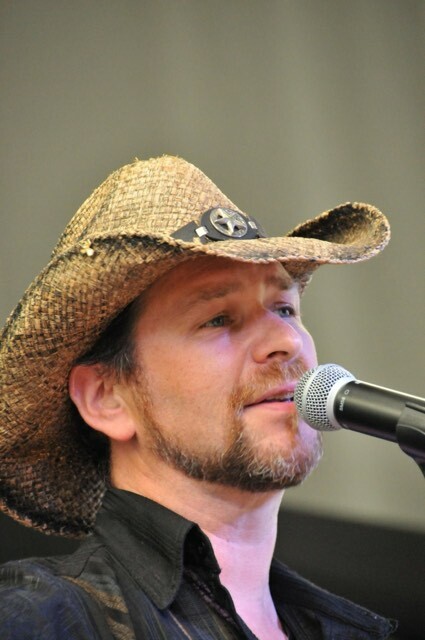 His passion for country music started while growing up with a mixture of country and 60’s pop music, then over 20 years ago when he first began line dancing with his parents Peter and Joan, this exposure to the country music scene sparked his love of country music. PJ began teaching line dancing in 1997, choreographs his own dances, organises events including a regular country music club and Phoenix Country Music Festival twice a year, DJ’s & teaches at various country music festivals and line dance events, all of which feeds his passion for country music. Over the years, PJ has found himself invited on stage by artistes including Texas Gun, The Drive, Mel Dixon, Ron Spence, Zenne and Dave Inglis and more recently, was privileged to perform with The Breeze at one of the 3 Gary Perkins tribute shows. PJ has received great support from fellow artistes and from his local community as his singing career has taken off. PJ performs songs from some of his favourite artists including Garth Brooks and Tim McGraw, plus many other artistes including Merle Haggard, Gary Allan, Willie Nelson, Johnny Cash, The Eagles, Blake Shelton, George Straight and Hal Ketchum, he also covers some newer country music from the likes of William Michael Morgan and Kane Brown.